Learn to cook classic French cuisine the easy way with this French bestseller from professionally trained chef Jean-Francois Mallet. 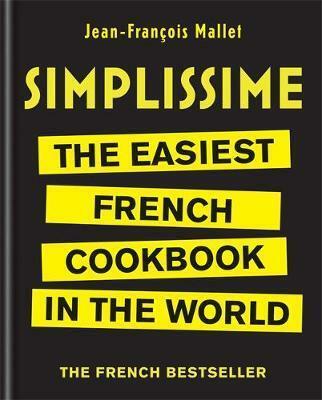 Taking cooking back to basics, Simplissime is bursting with easy-to-follow and quick recipes for delicious French food. Discover how to make a mouth-watering Apple Tart with Cinnamon with just five ingredients, or Spaghetti with Asparagus and Orange in just three steps. For an impressive dish, whip up mouth-watering Mussels in Curry in a short 15 minutes. Each of the 160 recipes in this book is made up of only 2-6 ingredients, and can be made in a short amount of time. Recipe steps are precise and simple, accompanied by clear photographs of each ingredient and finished dish. Cooking has never been so easy! It’s no surprise that this book has been selling a copy every ten seconds in France.